Bought two for travel purpose. Not tried out yet. Item received with good condition. Haven't tried it out yet but it's small so it's good to bring along when traveling. Item received well. Have been using it for a week and satisfied. A few weeks into using it. Still working well. Can buy. Item received. Only down side is that it cannot be tighten so need to be careful not to accidentally hit it to cause spillage. Item rec'd yesterday and so far so good. Hope it can last. Overall is ok and the mist is strong but the bottle is too soft, like minimal water ones. Prompt delivery and product works well. Will buy again when spoil. Not working. Worst product I have ever purchased. Just don't want the hassle of exchange. About payment, unable to pay by PayPal like last purchase, can help to check? For payment issue, pls kindly contact Qoo10 directly as all the payment will be handled by Qoo10 instead of seller. Thanks. You mean Qoo10 hotline say that seller end can set this ourself? 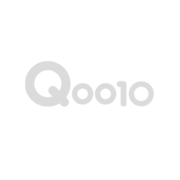 we will check with Qoo10 seller support center for details. I had emailed Qoo10 seller support and seek their advice on how to enable this paypal at seller end. Will update you once Qoo10 reply. thanks. you may feedback to Qoo10 directly as it is beyond seller control on this. Thanks. i see. We do sell at LAZ platform. Hope to see you there too. Not support pay by PayPal anymore ? sorry. I am not sure on this. Pls kindly check with Qoo10 directly on this payment method. Thanks. u may try other available payment methods instead of paypal. no problem. Sorry about that. Pls change the filter and try again. The bottle cap humidifier don't last for 4 days. The LED light is on and no mist at all. Any possibility of replacing it? Did you use any essential oil? Water base? Pls kindly change another filter and make sure there is a spring under the filter. Do you sell the absorbent filter stick? should be ok as long as their cap diameter is the same. Hi, a spring dropped out when i opened the box, can advise where to insert it back?